Home / Is There a Rift Between King Salman and MbS? 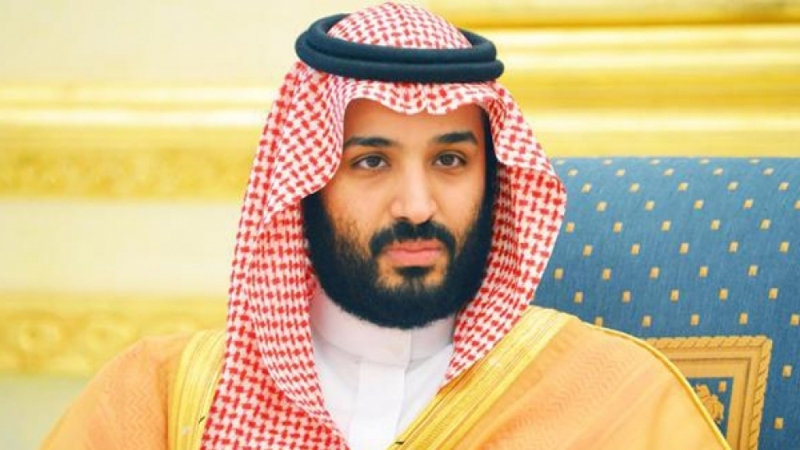 It is no secret that Saudi crown prince Muhammad bin Salman (MbS) is the real power wielder in the Kingdom. While his father Salman still rules as king, this is mere formality. The son controls most levers of power. The influence of MbS cannot be overstated. From taking over the Kingdom’s foreign policy, including the disastrous war against Yemen, to overhauling the economy with his Vision 2030 plan and cracking down on all forms of dissent, the crown prince is by far the most powerful man in Saudi Arabia. The young prince and his sycophants project him as a “reformer” who wants to “open up” Saudi Arabia to foreign influences. In reality, this has meant completely discarding whatever shred of Islamic identity the monarchy still had, in favour of US-style casino capitalism and liberalism. 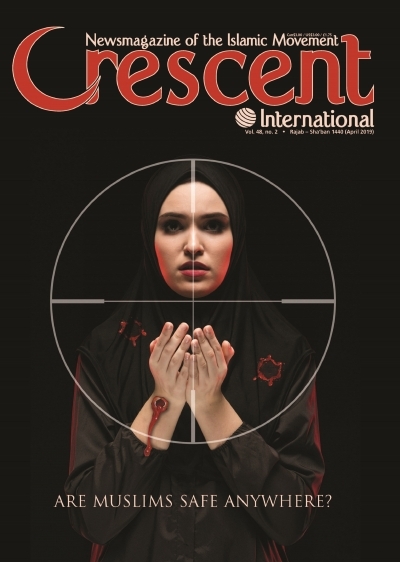 From plans to building a “Saudi Las Vegas” in the country that has the holy cities of Makkah and Madinah, to utterly bizarre social media posts detailing MbS’ nightly Hollywood parties that involve heavy liquor, and brazenly walking on top of Ka‘bah, thus disrespecting the holiest of Islamic sanctuaries in the world, it should be clear by now that all pretense of Islamic legitimacy of the Saudi political system is long gone. One urgent question remains: how is it possible that a prince, even a crown prince, can so utterly run a kingdom into ruin without anyone stopping him? 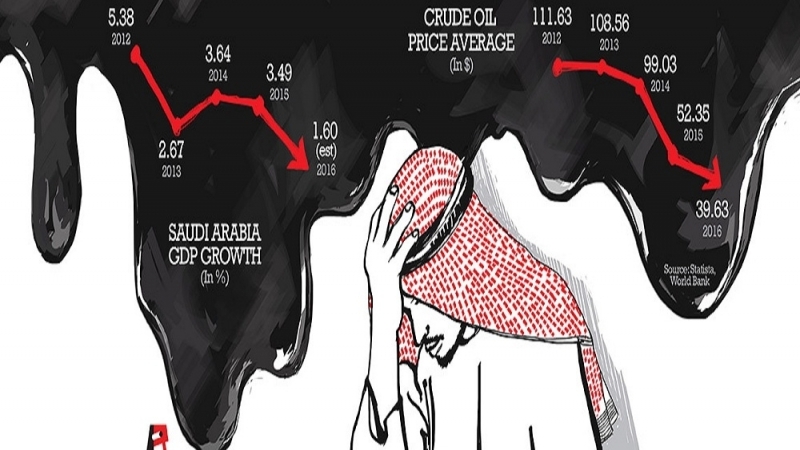 True, Bani Saud are notoriously corrupt and incompetent, barring a few exceptions. The ‘ulama’ in Saudi Arabia, even of the Wahhabi school, have had their wings clipped. Influential scholars like Salman al-‘Awdah and ‘Awad al-Qarni have been jailed on flimsy pretexts, and instead, the monarchy has put handpicked puppets in charge of religious institutions. Both Grand Mufti ‘Abd al-‘Aziz Al al-Shaykh and Secretary-General of the Muslim World League Muhammad al-‘Iså have openly declared their love for Zionism and are fierce defenders of the un-Islamic absolute monarchy holding sway over the Hijaz. This leaves only one man who can reign MbS in: King Salman. In August 2018, it became clear that the king had blocked the planned privatization of Saudi Aramco. This idea, officially promoted as a “public listing” by the crown prince’s Vision 2030 plan, was the cornerstone of MbS’ planned economic policy. Getting rid of the most important state-owned property and throwing it on the stock market for his business contacts to “invest in,” MbS would open the door to a full neoliberal economic system. In the same summer of 2018, the monarchy also officially stated that Riyadh will continue to recognize East Jerusalem as the capital of Palestine: the total opposite of Donald Trump’s plan, which was widely reported to have been accepted by Muhammad bin Salman. 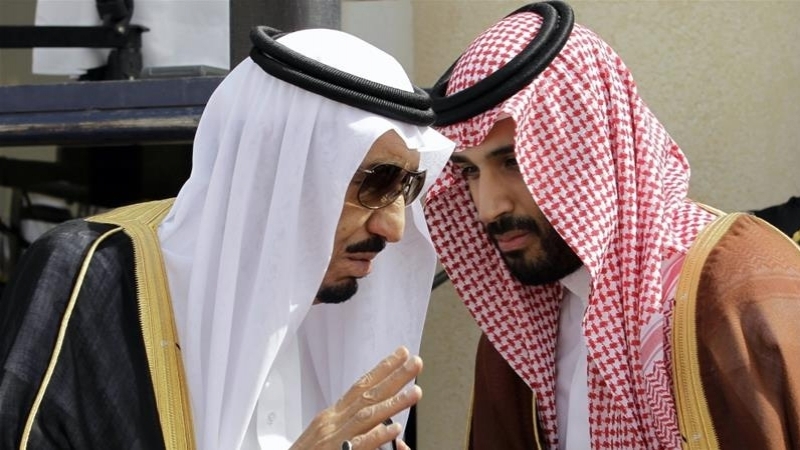 The fact that the ailing king reportedly stepped in personally has fed many a rumour that he is trying to reign in his son, possibly even rethinking his appointment of MbS as heir to the throne. The British daily, the Guardian, went even further, and on March 5 reported on rumours of a rift between father and son. Citing sudden changes in the king’s personal bodyguard during a visit to Egypt, the Guardian hinted at the possibility that the king’s entourage got rid of guards who reported directly to MbS. Added to this was the fact that MbS was reportedly not present to welcome his father home upon his arrival at Riyadh airport, that the British daily interpreted as a possible snub by the monarch. The exact sources and reliability of this report remain unclear, however. 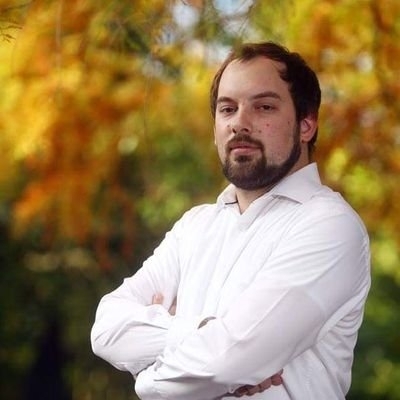 Mujtahidd is the Twitter handle of an anonymous activist who has created great furore as a reliable source of information. While it is unknown who he or she is, or how he has access to such private inside information on the secretive dealings of Bani Saud, Mujtahidd has time and again proven reliable. It was Mujtahidd who originally predicted that the then relatively unknown Muhammad bin Salman would become crown prince. 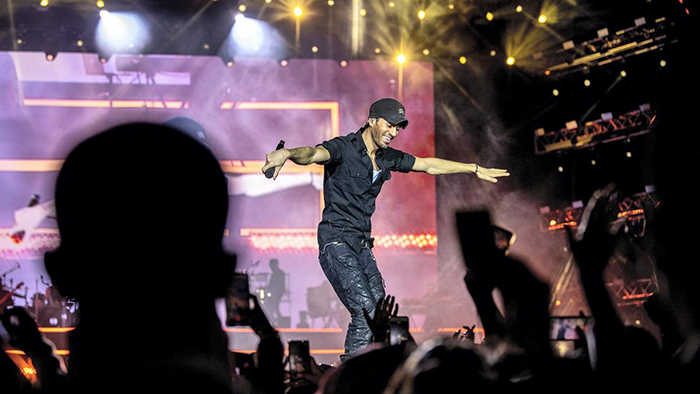 As part of MbS’ declared Year of Entertainment and National Trans-formation Program, Enrique Iglesias performs for fans at the Formula E venue in Riyadh, where an automobile race was hosted. Thousands of Saudi youth made up an unsegregated audience in a country where, just two years ago, women were not allowed to drive and had to seek a male’s permission before leaving the house. This Saudi whistleblower with apparent access to Saudi Arabia’s most hidden secrets, has vehemently denied that there is any significant conflict between the king and his son, mostly due to the fact that the king is incapable of any independent decision-making. According to revelations by Mujtahidd in February, King Salman is barely mobile anymore, and is transported inside the palace by a golf cart. The inside source insists that Salman bin ‘Abd al-‘Aziz has been diagnosed with Alzheimer’s disease, and that his condition is rapidly deteriorating. Mujtahidd provides a plethora of alleged events in the royal palace. 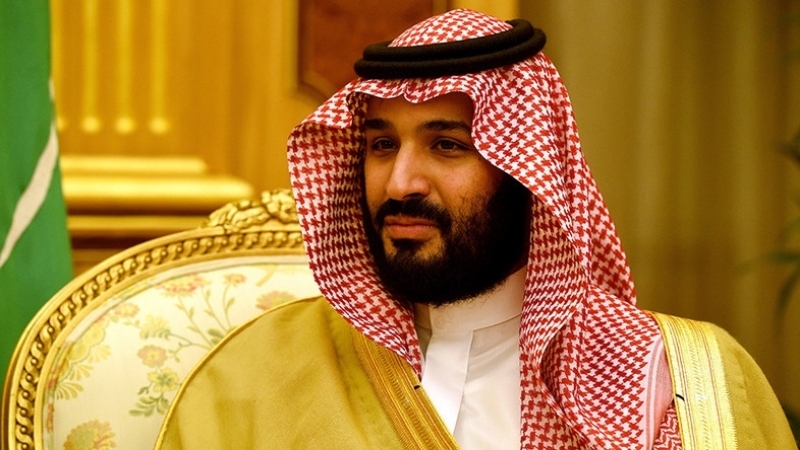 The king reportedly spends much of his days watching dance and song performances, organised by MbS himself to keep his father distracted from politics. Aside from this, the whistleblower reports that the king plays copious amounts of balut, a popular card game, usually with the same few game partners that have all been handpicked by MbS. All access to the king in his private residence in the royal palace is off limits unless expressly permitted by the crown prince, even for senior members of Bani Saud. Mujtahidd furthermore reports that Salman is administered large doses of pain-killers and sleep medication. Whenever the king has a moment of clarity and starts to ask questions pertaining to the country’s management, the medicine doses are allegedly in-creased in order to pacify him. In response to the Guardian article, Mujtahidd released a new statement in March. In it, he stated that King Salman is “mentally dead” and has no knowledge of anything going on in the Kingdom as of late. According to the whistleblower, Salman doesn’t know that Princess Rima bint Bandar bin Sultan has been appointed ambassador to the United States, a major decision made by MbS during his father’s visit to Egypt. “King Salman cannot contribute to decision-making since he is mentally dead and cannot remember anything,” Mujtahidd stated bluntly. According to the anonymous activist, the rumours that a rift is growing between Salman and his son are actually fed by none other than MbS himself. 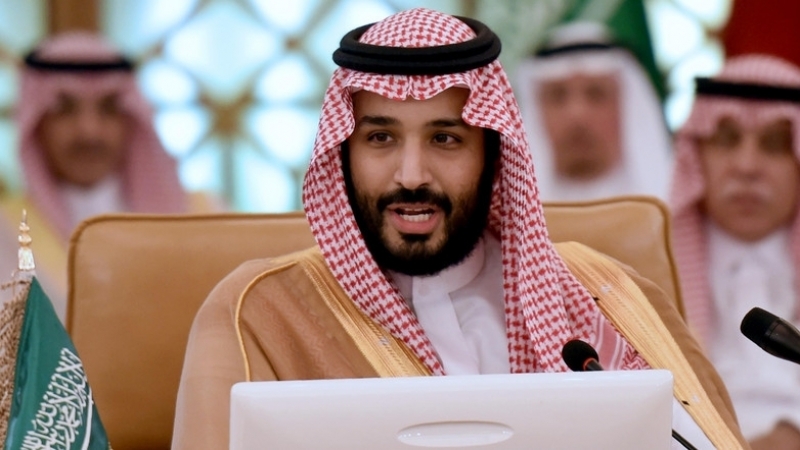 The crown prince wants to make it seem like his father is still in charge, in order to dispel reports that he has already all but taken over power in Riyadh and has shoved his father aside. While a brewing conflict between father and son may be an attractive theory to many, there seems to be little factual basis to give much credence to these rumours at this point. Muhammad bin Salman is likely to be determining the Saudi course of action for the foreseeable future.